Welcome to warp zone! The book explores artwork for and the making of 17 Mario games. 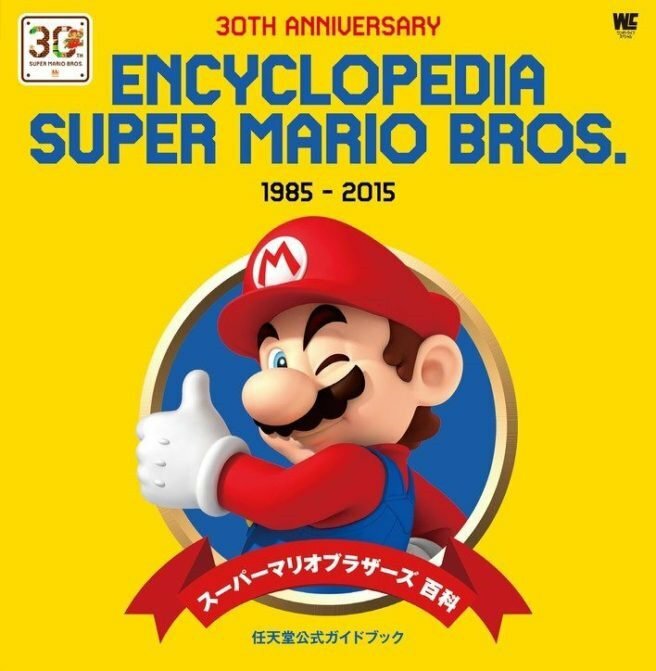 Nintendo's Super Mario Bros. Encyclopedia, published in Japan a few years ago, will make its way to Europe and North America this June. The Super Mario Bros. Encyclopedia is jam-packed with 256 pages containing artwork and design information for 17 games in Nintendo's flagship platforming series. To bring the super-sized Super Mario book to the west, Nintendo is partnering with several publishers including Dark Horse (via Nintendo Everything). The book is up for pre-order on Amazon's UK, Germany, and France pages. Amazon US and Canada list the book, but don't allow you to pre-order it just yet. Nintendo has a good track record releasing high-quality encyclopedias brimming with gorgeous artwork and development notes. Published in the west in 2013, the Hyrule Historia was a joint production between Dark Horse and Nintendo that collected Legend of Zelda art and design info, highlighted by the long-debated official timeline of the series. A sequel to Hyrule Historia, The Legend of Zelda: Art and Artifacts, is due out on February 21 and boasts over 400 pages of illustrations from all 31 years of Zelda history, including artwork from Breath of the Wild. The next Zelda will launch alongside the Nintendo Switch next Friday, March 3.